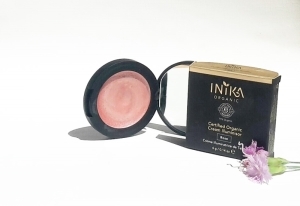 Inika Cream Illuminisor is a creamy highlighter, made of natural butters, containing vitamins and minerals, for a natural glow – whether used as a highlighter or a blush. Not too long ago, Inika launched a collection of cream illuminisors – highlighters – available in three colors: rose, gold and spice. I’ve picked the rose one. The Inika Cream Illuminisor is packed in an elegant, black soft-rubber-like compact with a mirror. The scent of this highlighter is a very distant typical scent of a lipstick. The texture is quite hard, making it perfect for a variety of applications: if you just quickly rub the highlighter and dab it onto cheeks – or any other place you desire – a subtle glow, with a hint of a pinkish color appears. If you wish for a more buttery application, melt the highligher between your fingers. When used over BB cream or liquid foundation, it easily spreads and melts with the base; if you think you’ve applied too much, you can easily blend it a bit more with a foundation brush. When used over mineral foundation, I found it best not to melt it too much, but just dab on the skin. And when going for a very minimal look, wearing no foundation, I found it best to melt it between my fingers first, as sometimes just a moisturizer may not be enough for a smooth and easily spread application. The illuminisor is of a very smooth consistency, too. As mentioned, the Inika Illuminisor comes in three different colors; the one I have is a gentle pink with a subtle peachy undertones. For darker skin tones, you could apply a more liberal amount of this highlighter; for those with a lighter skin tones, this illuminisor acts with a dual role: as a highlighter and a subtle shimmery blush, giving a natural glow in a pretty pink color. If you wish, you give this Inika Cream Illuminisor a try to perform in other roles, besides designated as a highlighter and a blush: you can use it on top of your lipstick or lipbalm for a gentle pinkish shimmer look or you can use it no your eyelids as well – to add a bit of a glow – with or without eye shadows. The staying power of this illuminisor is also quite impressive; of course, depending on your skin, whether you have dry or oily, as well as the weather – but I’ve found this highlighter to not slide off for many hours after applying it. The color and shimmer also doesn’t fade off for many hours. Aside from a natural, beautiful glow, the Inika Cream Illuminisor also contains skin-beneficial ingredients, packed with vitamins and minerals to take care of your skin as well: made mostly of tried and tested butters, such as shea butter, coconut butter and cocoa butter, it also contains roseship oil and castor oil. And – despite containing coconut oil, luckily, I did not experience any negative reaction to it – for those with oily skin, coconut oil can be comedogenic. So, how about these ingredients? Coconut Oil is hydrating and excellent for dry skin. It has anti-fungal and antiviral properties and is rich in Vitamin C and A. Castor Seed Oil has anti-bacterial and anti-inflammatory properties; it conditions the skin. Shea Butter is rich with Vitamins E; a nourishing butter; renowned for its skin softening and moisture retaining ability. Excellent for healing aged and extremely dry skin. Cocoa Seed Butter is high in Vitamin E; it helps to soften, moisturize, condition and protect dry skin. It also seals in moisture and improves skin elasticity. Argan Oil has anti-inflammatory properties; it contains high content of fatty acids and antioxidants. It softens the skin and is an excellent anti-aging agent. Carnauba Wax and Candelilla Wax are emollients, keeping the illuminisor compact and sturdy. Inika Cream Illuminisor is perfect for those, looking for a natural-looking and natural as far as ingredients go, illuminisor, which perfectly works as highlighter and blush. 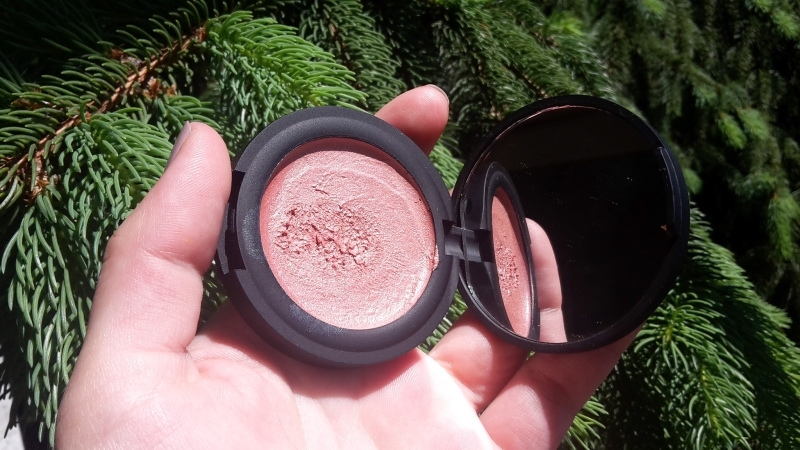 The finish is a subtle, though easily buildable and spreadable glow, with a hint of a pinky and peachy color. The Illuminisor works well with liquid foundations as well as mineral ones; depending on your skin, if you have dry – a bit of a moisturizer is advised, if you wish to wear only a natural pinky glow. 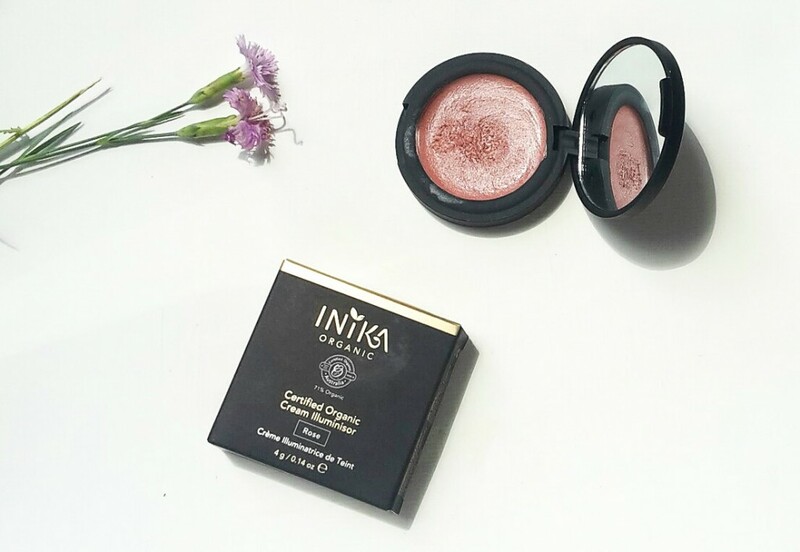 I’ve been using the Inika Cream Illuminisor both as a highligher and blush and it’s been working perfectly for me; I think it will work even during hot Summer days, given its staying power! 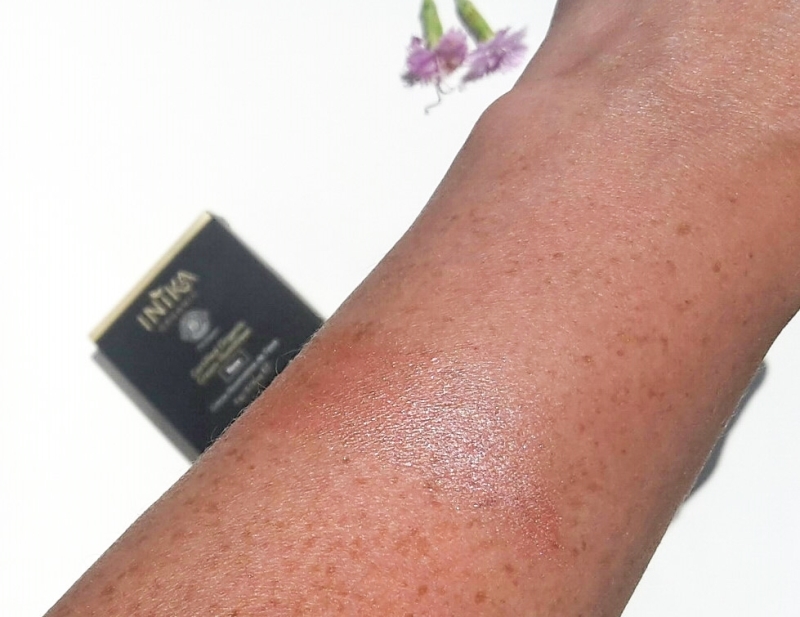 I’m amazed, on a daily basis, just how far the green beauty products have come – finding a high quality as far as the performance goes – highlighter, is not a difficult task anymore – and this Inika Cream Illuminisor is proof for that. But with green beauty products, you don’t have to choose between a high quality performance of a product and natural, skin-beneficial, non-toxic ingredients either. 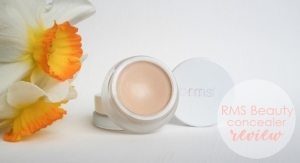 In this highlighter alone, you get ingredients, which nourish the skin as well – all the natural way. Price? It’s not cheap nor easily affordable – that has to be said: €26 for 4g. Sure, you might say – you can get an imitation of this highlighter for, say, €3 – but consider the ingredients in such a product and the negative effect they have on your skin, and if you ask me, I wouldn’t put such product on the bottom of my shoes. You won’t use up this Inika Cream Illuminisor in a month; that would be quite expensive – I can’t give you the exact time-line, but based on what I’ve seen so far, with a daily use, this highlighter could stretch to at least 18 months. Thumbs up for Inika Cream Illuminisor from me! Do you use highlighters? Have you tried the Inika Cream Illuminisor? If so, which color did you pick? For more information on Inika, please visit their dedicated brand page. Inika Cream Illuminisor has been gifted to Nature of Europe by Love Lula for the purpose of an honest review.